A boat lovers dream! This beautiful two story Bermuda style home combines the best of traditional coastal living with the convenience of your own 120 foot deep water dock and easy access to the Ocean and Intracoastal for cruising and fishing. Enjoy brilliant waterfront sunsets from this stunningly decorated Hypoluxo Island masterpiece. 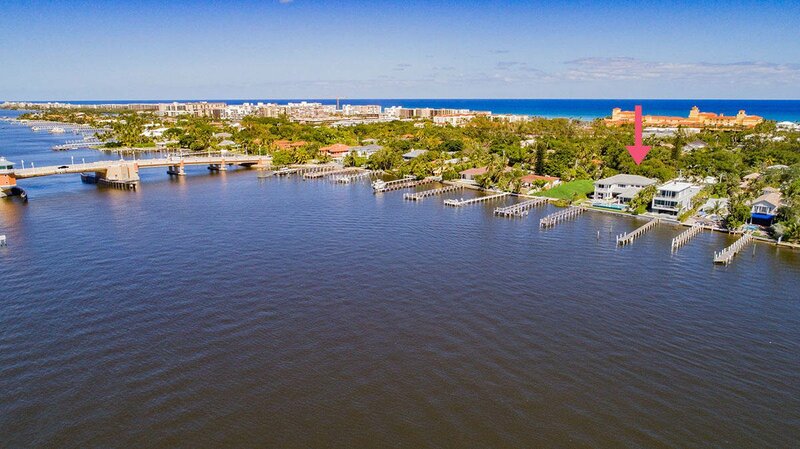 Ideally situated on a 100 foot lot directly on the Intracoastal this home is perfectly designed for entertaining both indoors and out, embracing the best that living on the water has to offer. Enter through the large wood-framed glass doors into a gracious foyer and an elegant living room with soaring 23 foot coffered ceilings and direct water views through large sliding glass doors. Elegant crown molding and newly installed hard wood floors extend throughout most living areas and bedrooms. A chef's dream, the open concept kitchen features all stainless appliances including an oversized Sub Zero fridge and freezer combo and Thermador gas cooktop, double oven, built in microwave and dishwasher. A large island features a marble top with a waterfall edge extending to the floor, a rinsing sink and wine fridge. Enter the covered patio with dining area and summer kitchen through the nine-foot impact resistant glass doors. A gorgeous 50' x 18' beach entry saltwater pool featuring a 50 foot infinity edge, custom fire and water features and 8' x 8' spa is surrounded by a huge Travertine sun deck and patio. The first floor Master with water views has privacy doors, a large bathroom with dual vanities and a walk-in closet with an abundance or storage space. Upstairs, a newly designed billiards room offers easy entertaining with a custom wet bar. Two spacious bedrooms offer a comfortable retreat for friends and family. An open walkway leads to the upstairs Master and overlooks the foyer and living room. Through the privacy doors is a serene and elegantly decorated Master bedroom with a balcony overlooking the pool and Intracoastal, a large bathroom with marble floors, and a capacious closet. Other features include a three car garage with high gloss epoxy floor coating and high ceilings, full video surveillance system, and much more! 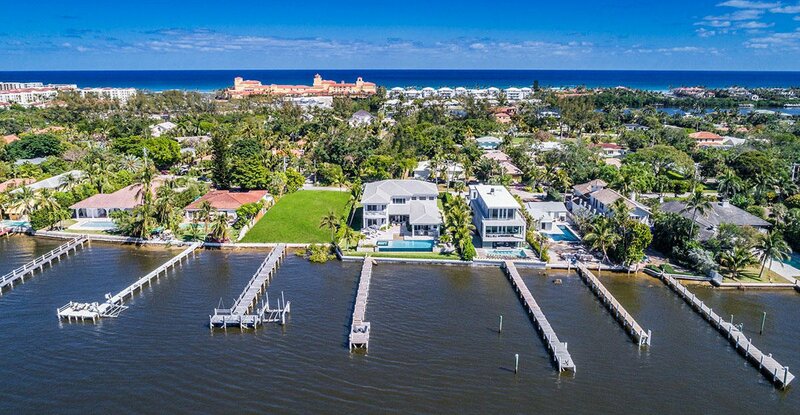 Hypoluxo Island is an exclusive community nestled in the heart of Palm Beach County, just north of Delray Beach, with its superb restaurants and exciting night life and a short drive to Palm Beach, noted for its world renowned shopping.